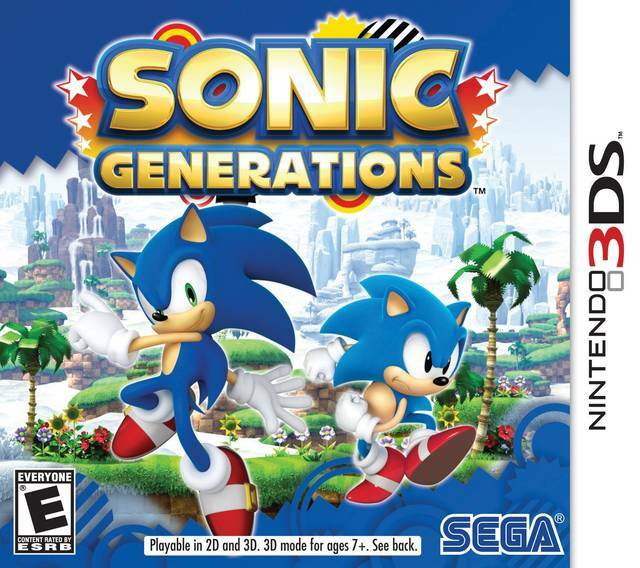 The ultimate celebration of 20 Years of Sonic gaming, Sonic Generations delivers the definitive gaming experience for Sonic fans new and old. Sonic's universe is thrown into chaos when a mysterious new power comes into force, creating time holes' which take Sonic and his friends back in time. Whilst there, Sonic runs into some very familiar characters from his past including a younger version of himself! Now they must team up to defeat their enemies, save their friends, and find out who is behind this diabolical deed. All New Experience - Play some of your gaming's most iconic environments in a whole new way with famous Sonic stages presented in stunning new stereoscopic 3D. Unlock New Adventures - Once you complete each level and free' Sonic's captured friends, you'll get to go back and take on more challenges with them at your side. Infamous Bosses and Rivals - Take on some of the most notorious characters from Sonic's past as you fight for ultimate supremacy. Master Your Moves - Master Classic Sonics famous spin-dash attack and utilise Modern Sonic s Sonic Boost' as you complete the all new tracks. All New Content - With new and exclusive environments for the Nintendo 3DS, including an un-lockable special stage'. 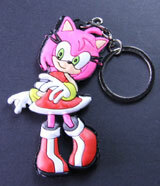 Each includes two tracks - one for Classic Sonic and one for Modern Sonic - designed to showcase each Sonics' unique features.